Smart-Fab is the smart alternative to paper and cloth. 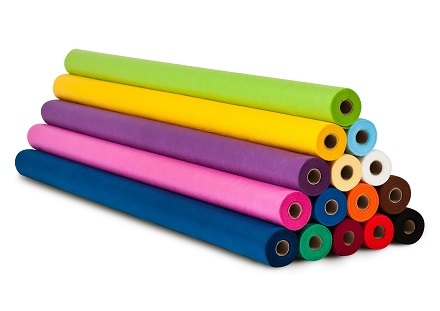 Available in a range of brilliant, non-fading colours, it’s an innovative non-woven fabric that’s easy to cut, fold, glue, sew and staple – and even paint and draw on. Smart-Fab is strong, yet flexible – but doesn’t fray. And, it’s recyclable!